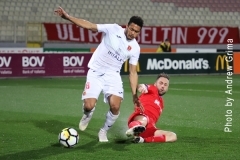 A goal by Shaun Bajada six minutes from the end of the first half enabled Birkirkara to take the three points they needed to secure the third Premier League title in the history of the club as they move four points ahead of second-placed Valletta, five days before the two rivals face each other in the final league game. 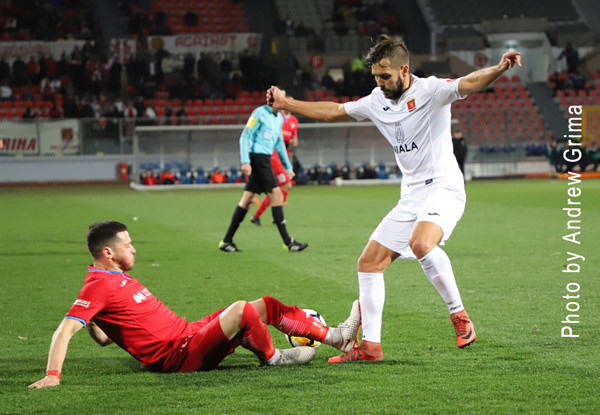 Paul Zammit’s side went all out in search of an early goal, creating several scoring opportunities but it was only late in the first half that they managed to score the all-important goal. After the break, they adopted a rather cautious approach in order to make sure of taking home the three points. Birkirkara had one change from the team which defeated Hibernians as Joseph Zerafa replaced the injured Carlo Mamo. 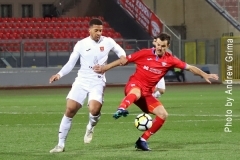 Tarxien, on the other hand, lacked Anderson Mendes Ribeiro and the suspended Everton Antonio Pereira, Manuel Caruana and Steve Sadowski. 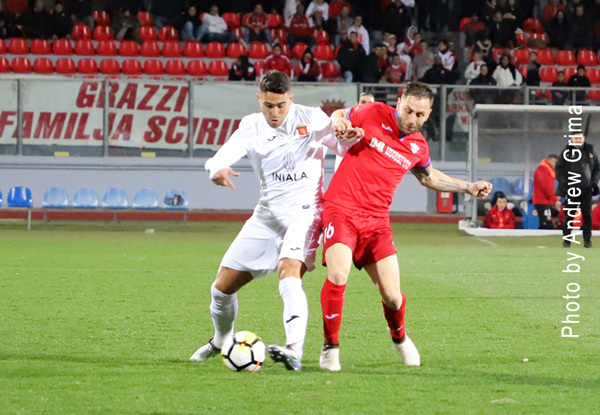 Tarxien midfielder David Camilleri was making his 400th Premier League appearance. 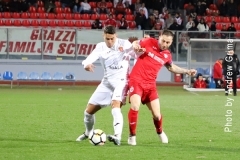 The Stripes made their intentions clear right from the start, going close after just two minutes with a close-range effort by Sylvano Comvalius, neutralised by Anthony Curmi, when served by Michael Galea following a cross from the right by Trevor Cilia. On the 6th minute, Michael Galea headed just wide off a cross by Joseph Zerafa from the right. A diagonal shot by Comvalius from the left ended just wide two minutes later. On the 11th, off a Shaun Bajada corner from the right, Trevor Cilia had a good attempt at goal but Curmi blocked. 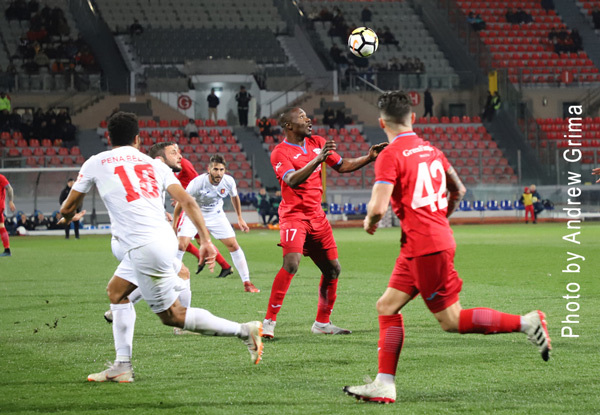 Two minutes later, Michael Galea just failed to connect off a freekick by Bajada from the right. A direct freekick by Sylvano Comvalius ended just over the bar on 25 minutes. 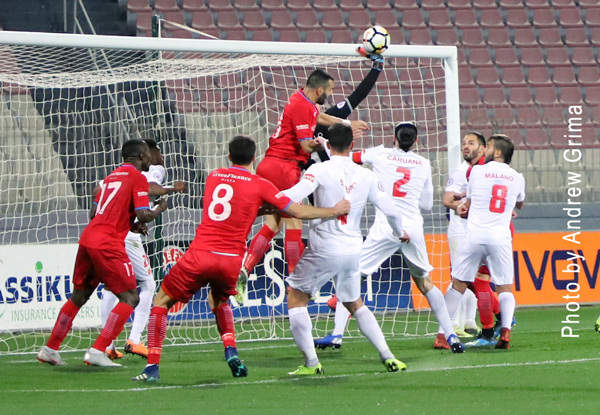 Tarxien replied with a diagonal shot from the right by Mark Tanti ending wide three minutes later. On 33 minutes, Michael Galea served Trevor Cilia on the right, inside the area, with Curmi turning the latter’s conclusion into a corner. Birkirkara managed to take the lead on 39 minutes when off a cross from by Sylvano Comvalius, the ball reached Shaun Bajada whose fine shot from outside the area beat goalkeeper Anthony Curmi. Four minutes in the second half, Trevor Cilia just missed the target with an angled shot from the right. 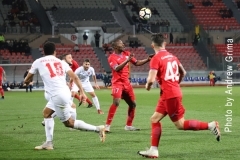 The two teams shared the exchanges with the Stripes being careful to control their opponents, operating on counter-attacks. B’KARA Jorge Mora, Trevor Cilia (90’ Thomas Paris), Branko Nisevic, Nikola Vukanac, Paul Fenech, Rowen Muscat, Shaun Bajada (86’ George Mallia), Angus Buhagiar, Joseph Zerafa, Michael Galea, Sylvano Comvalius (74’ Alan Tabone). Subs not used: Omar Borg, Andrew Scicluna, Karl Pulo, Andreas Galea. 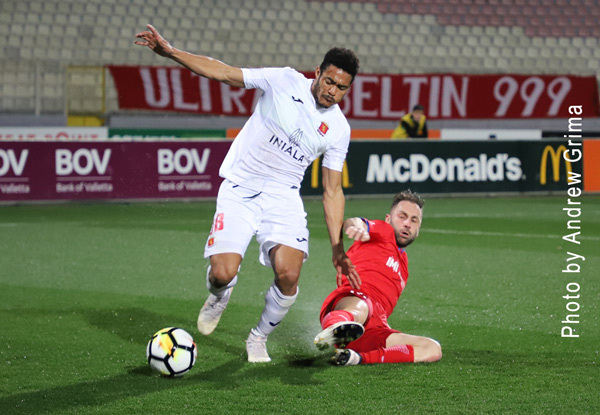 TARXIEN Anthony Curmi, David Camilleri, GIanluca Calabretta (71’ Warren Zerafa), Mark Tanti, Andrew Decesare, Denni Rocha Dos Santos, Ryan Mintoff, Ryan Grech (83’ Clive Fenech), Lee Galea, Kurt Magro (46’ James Shead), Justin Grioli. Subs not used: David Cassar, Melchior Grech, Luke Vella Critien.